A change on the City of Rockville website this morning now describes Public Works Director Craig Simoneau as Acting City Manager. Barbara Matthews is no longer City Manager, and a search for a new one is underway. This was almost a total surprise, except you may recall the Mayor and Council went into Executive Session last week to discuss issues pertaining to the City Manager position. 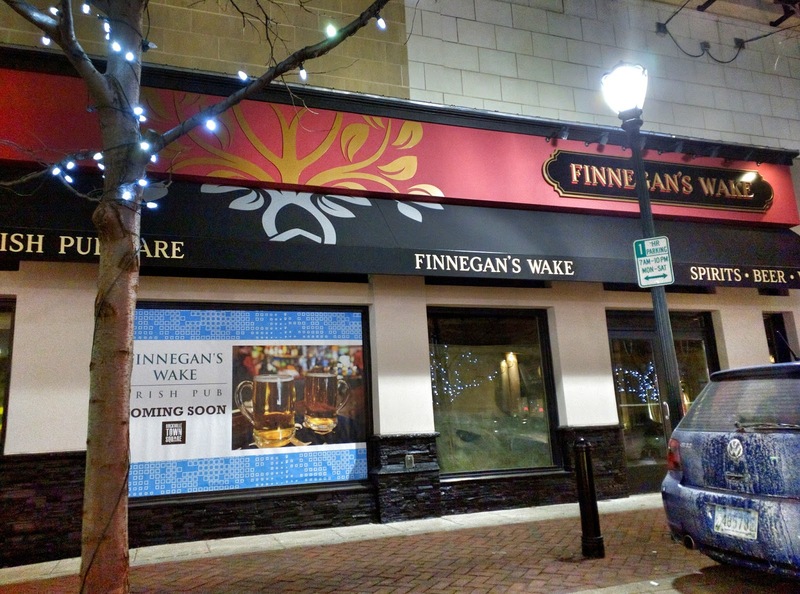 Can Finnegan's Wake open at Rockville Town Square in time for St. Patrick's Day? The suspense is killing me. 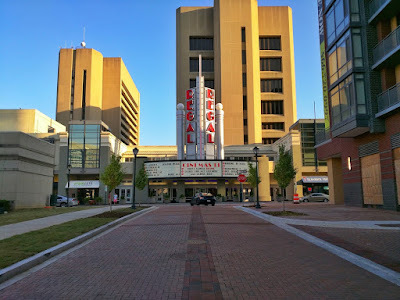 Most people can agree that Rockville's town center is probably not known in the region as the most pleasant, easiest and cheapest place to park. But how to solve that problem - or the perception of it - isn't as as easy to agree upon. A special Mayor and Council worksession last night brought stakeholders together for an open conversation on the topic. "There is no such thing as free parking," a representative of Rockville Town Square owner Federal Realty said. Lighting, maintenance and ground lease payments are just a few of the expenses involved in providing parking, he explained. He described the current parking policy at RTS as a "very generous first two hour validation program," taken advantage of by 80% of garage patrons. That is "effectively, free parking," he added. However, many competing lifestyle centers in the County are offering parking that is literally free parking, much to the chagrin of businesses in the town center. And, yes, there is validation, but you usually have to buy something in order to get it, which means it is not "free." In contrast, Federal Realty's Pike & Rose development gives you the two hours free without needing a validation. Downtown Bethesda, as unpleasant as parking is there, provides free parking in Montgomery County garages on weekends. Rockville Town Square doesn't. And Rio/Washingtonian Center and Downtown Crown provide the best deal of all: free parking all day, every day. But becoming more competitive is easy or challenging, depending upon who you ask. Federal Realty pointed out that fees alone rarely cover the full cost of parking for a property owner. "What we don't collect," the representative said, "is essentially paid for by the leaseholders themselves." Changing parking policies requires a lot of research, and a long-term commitment to that new policy, he warned. Mellow Mushroom's Danny Trahan offered a simpler solution. 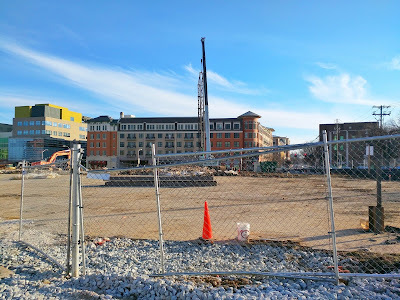 Trahan, who lives in Virginia, said the evolution of parking policies at Reston Town Center are very instructive for Rockville's parking dilemma. 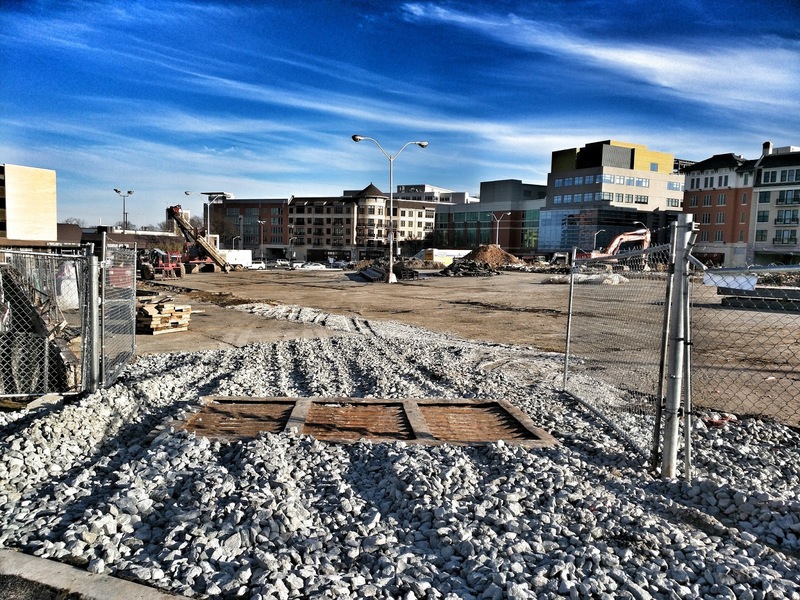 Reston originally had free parking, he said, until the policy was abused by Metro commuters. 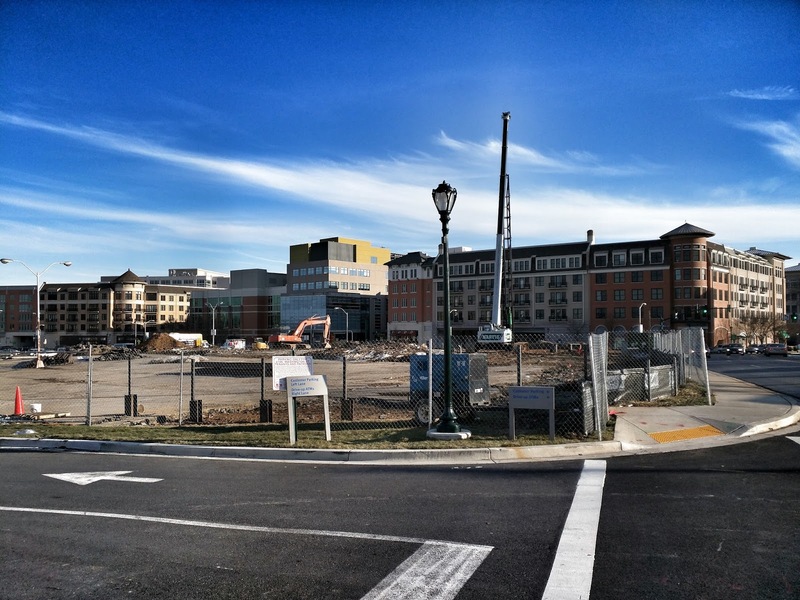 When Reston Town Center then instituted paid parking, business declined severely, he recalled. Reston then changed to charging for parking only between 4:00-10:00 AM. The result? Business was "booming again," Trahan recounted. 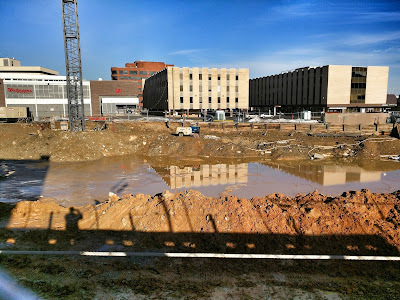 Taking into account the daytime demand for parking related to local government and the courthouse, Trahan suggested implementing a Reston-type policy, but charging until 4:00 PM on weekdays. After that, and all day on weekends, parking would be free. "Heavily market that" on Facebook and in newspaper ads, Trahan advised. In response to Federal Realty's concern about the reality of parking costs, Trahan predicted that under his suggested policy, the firm would recoup "millions of dollars of revenue you guys are losing." Trahan also proposed that Federal Realty allow merchants to advertise in the garages, to generate revenue to cover parking costs. He offered to buy a Mellow Mushroom sign and install it in the garage. Another novel idea Trahan threw out at the meeting was to relocate the library, and fill its space with more retail to activate the square at all hours. "We're at a competitive disadvantage on Saturdays," a Regal Row merchant said. 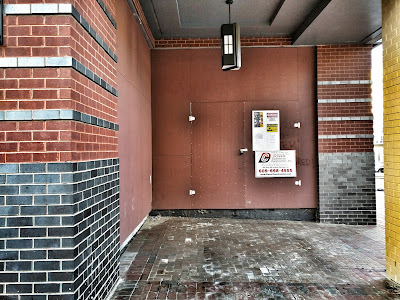 And a former draw at lunchtime on Wednesdays, the farmers market and live music, has been lost to Dawson's Market during the construction of the Duball project across the street. 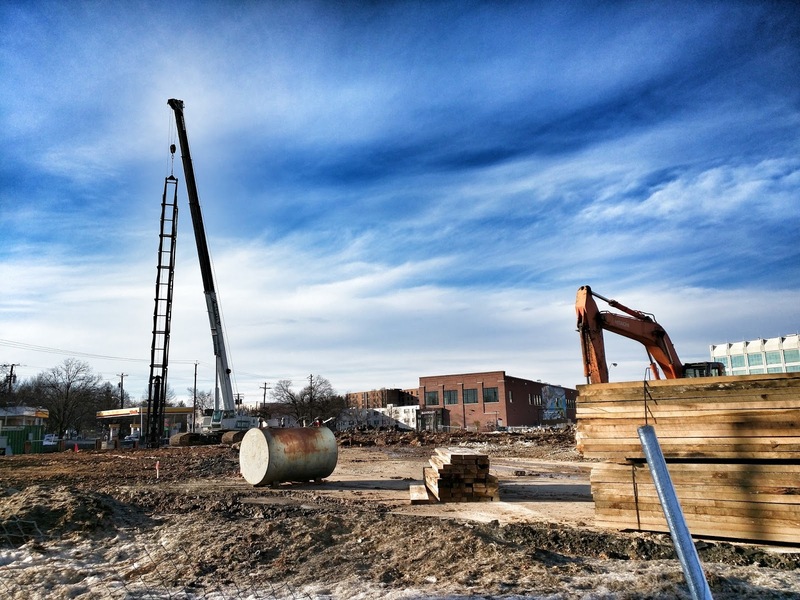 A representative of neighboring CremCafe said that the loss of the surface lot the Duball project was built on has made it harder to hire workers. They can't afford the price of parking, and "not everyone is using the Metro," he said. 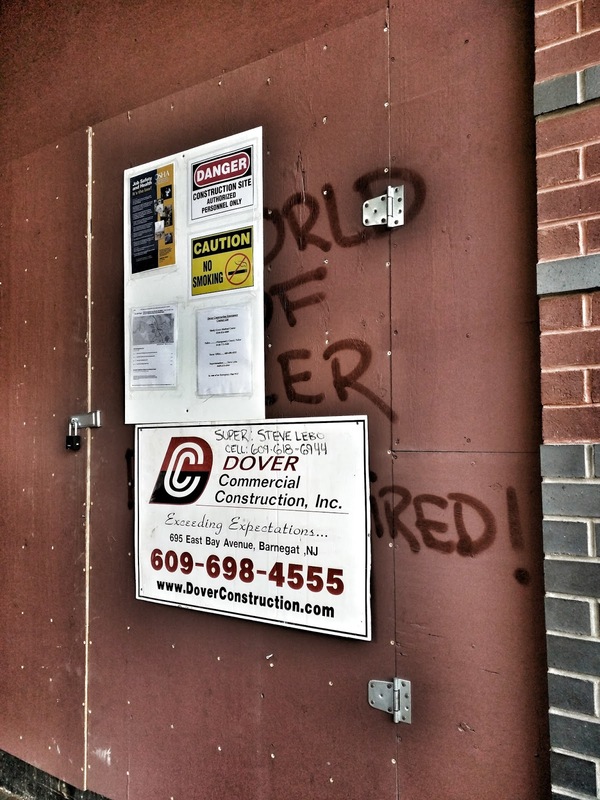 The owner of Ben & Jerry's said "customer counts plummeted" during the Duball construction, and today are "not nearly as much as they were prior to construction." Scott Feldman of the legendary Giuseppe's Pizza on Regal Row told the Mayor and Council that some of his longtime customers "don't come in anymore" after finding a "$40 ticket on their windshield." Or, as one of his customers termed it, "that little surprise we had waiting when we got outside." Combine that with competition that can offer free parking, and Rockville town center businesses suffer as a result. "The problem is," Feldman said, local consumers "have too many other choices." 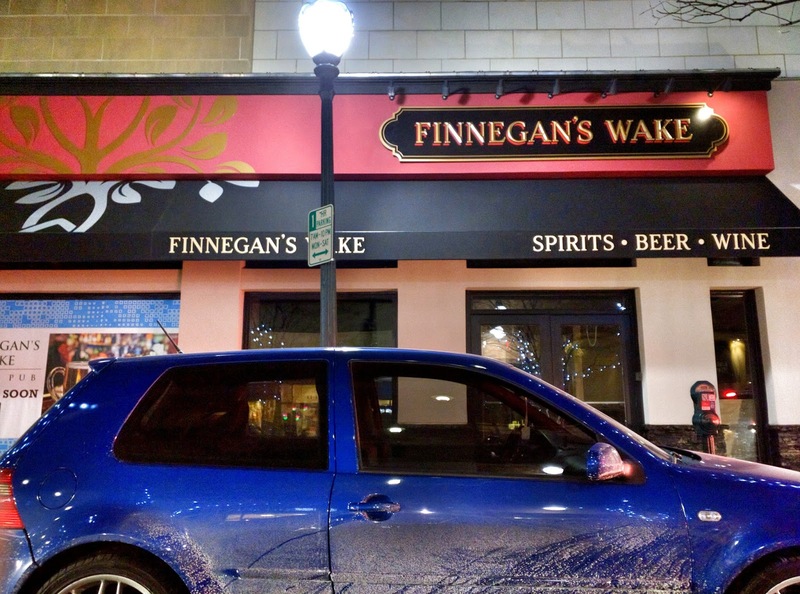 Read the pizzeria's Yelp page, and you'll find that when customers aren't raving about the pizza, they're warning that "parking is a ***** during business hours." 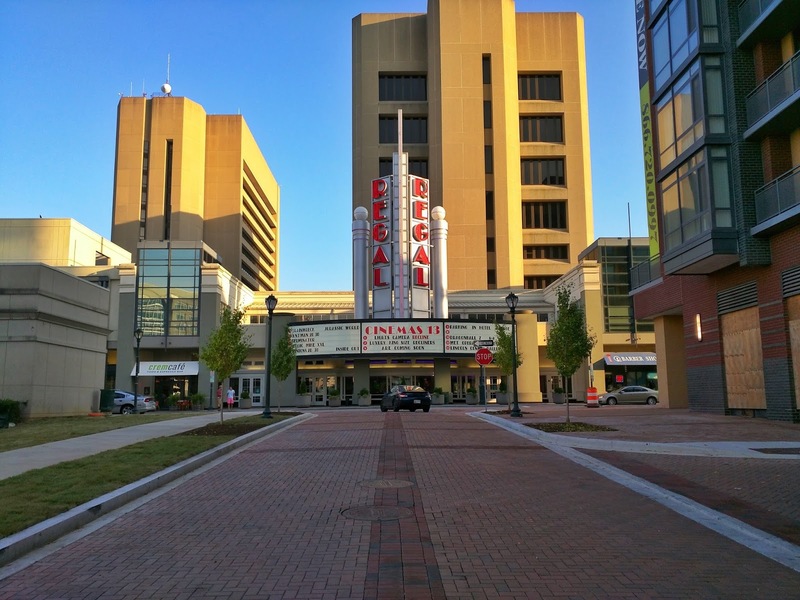 Regal Cinemas has been hit as hard as anybody - and not for a lack of trying. The cineplex recently renovated its auditoriums, adding reclining seats. Ordinarily, a representative of the theater said, adding recliners would initially boost sales by 50-60%. 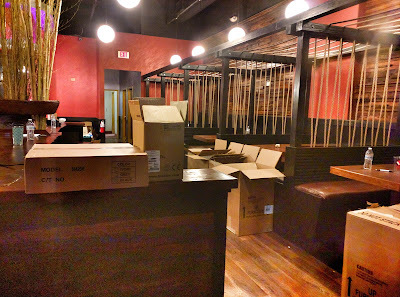 In Rockville, the fancy chairs have only generated a 20% increase in business, he said, "something that is concerning." He also said that the theater had to end its free family matinee screenings, because "nobody wants to pay $12 to see a free movie." But the perception of parking problems may be killing business as much as the practical experience of parking. 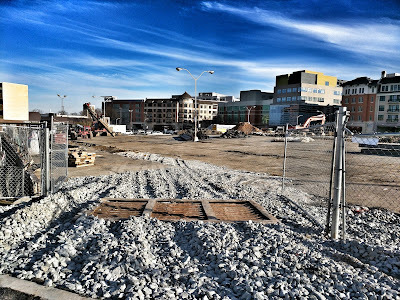 "I hate to come into downtown Rockville. 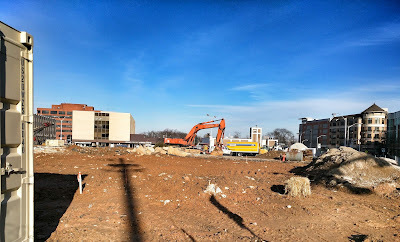 I can never find a place to park," Rockville Chamber of Commerce board member Brian Barkley said friends often tell him. Barkley said it's actually not that hard to find parking if, like him, you know where it is. He recommended better wayfinding to address that issue. That still doesn't solve the cost issue, though. "You can't have everybody around you with free parking on the weekends, and you don't have it," Barkley said. A town center merchant who lives in Potomac said "nobody in my neighborhood comes here," they go to downtown Bethesda instead. 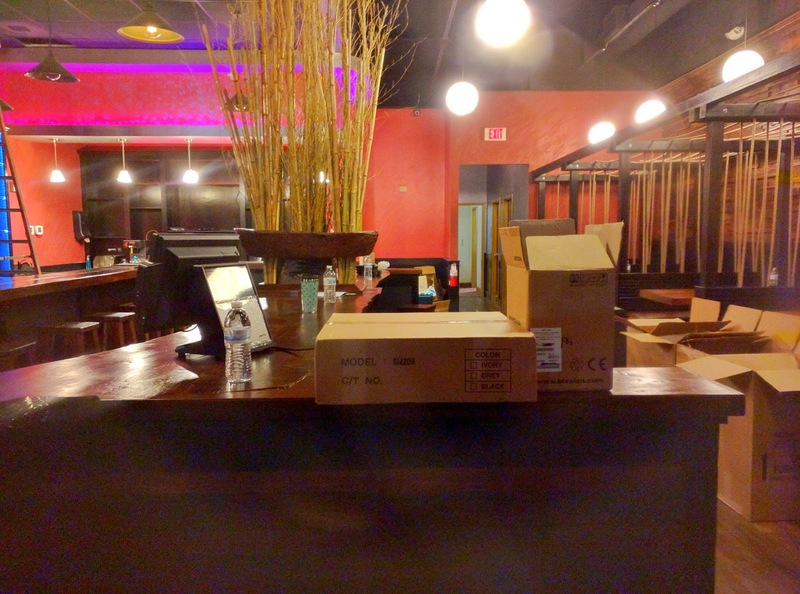 And a representative of VisArts said Rockville town center "has a reputation that it's not a friendly place to go. You have to pay for parking." 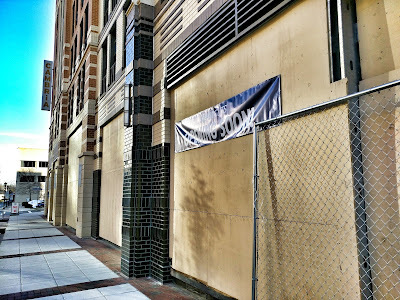 "If [merchants] want to have free parking, they can have free parking, It's just a matter of paying us," Duball, LLC president and principal Marc Dubick said of his garage in the Upton/Cambria Hotel and Suites building he developed. Echoing Federal Realty's accounting concerns, Dubick noted that "we have lenders, and we have to pay our obligations." He also noted that his garage is only 17% occupied on Friday nights currently. 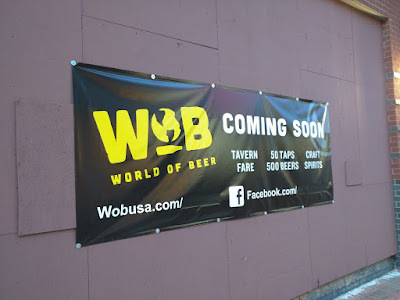 That could change when World of Beer opens, though. 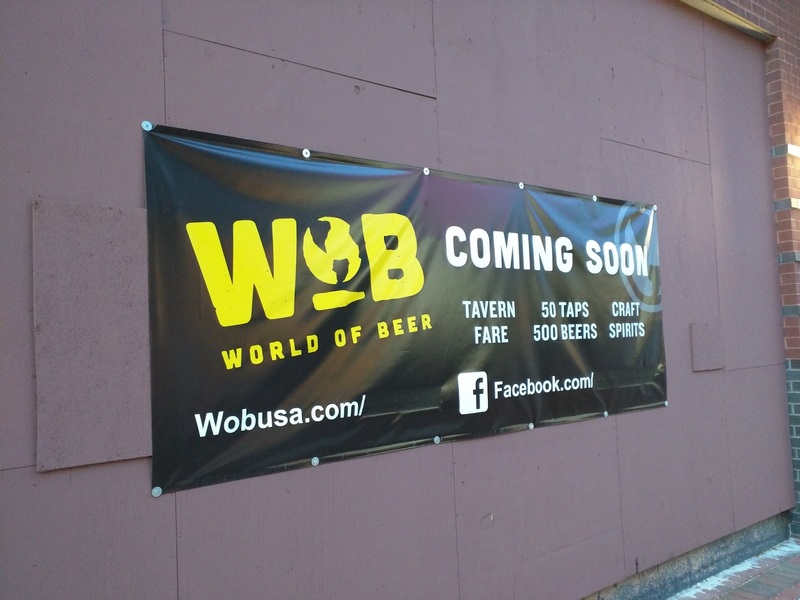 World of Beer, the new tavern coming to the Upton apartment building in Rockville town center, is targeting a mid-April opening, Marc Dubick, Principal and President of Duball, LLC, said last night. 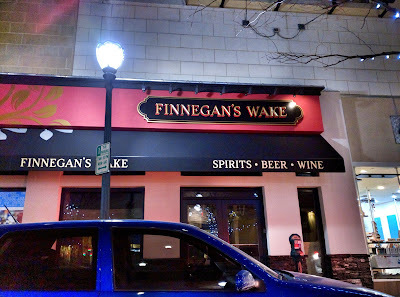 The business is promising the miracle of offering 500 beers, and operating 50 taps, under the arcane Montgomery County liquor monopoly rules. Can't wait to see them pull this off. 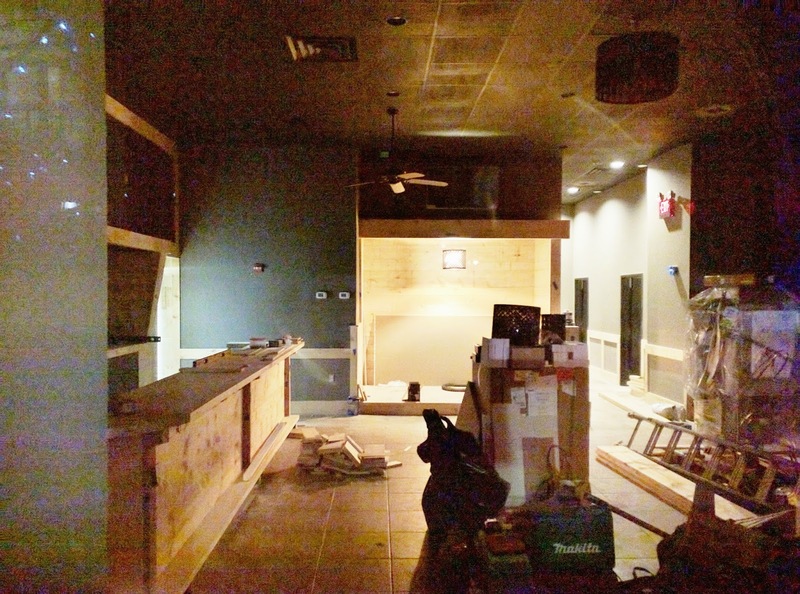 Another opening on the horizon is Panera Bread, which Dubick says could be ready to go in about 45 days. 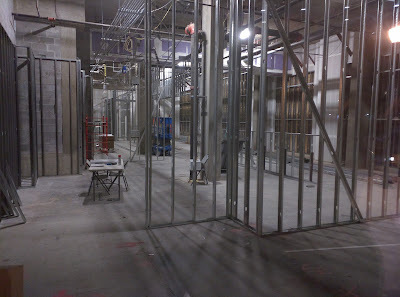 Like World of Beer, it is currently under construction on the Cambria Hotel & Suites side of the building. Should Rockville's single-family neighborhoods be rezoned for multi-family housing? 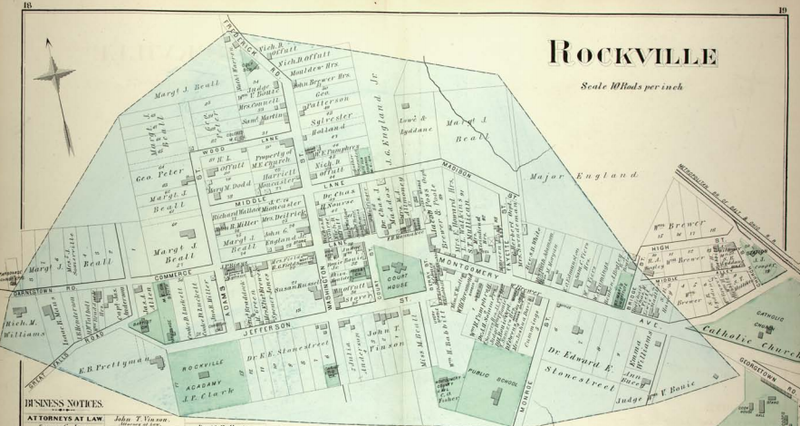 A well-written land use briefing presented to the Rockville Planning Commission last night contained a high level of detail, and fascinating data and graphics related to the City past and present. It is a must-read for any citizen or official engaged in the current update of the citywide master plan. The presentation also brought up a highly-controversial idea that I cannot find in the text of the report, however. 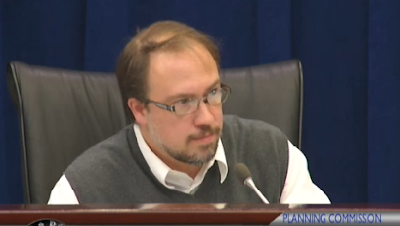 Referring to the large lot sizes in Rockville's older residential neighborhoods, and the rising cost of housing, planner Barry Gore suggested one change the Planning Commission might consider is to allow multi-family zoning (i.e. duplexes) in existing single-family home communities. Importantly, he was not formally recommending such a change, but only floating it as one of many ideas the commission might want to consider in their discussion of the new master plan. 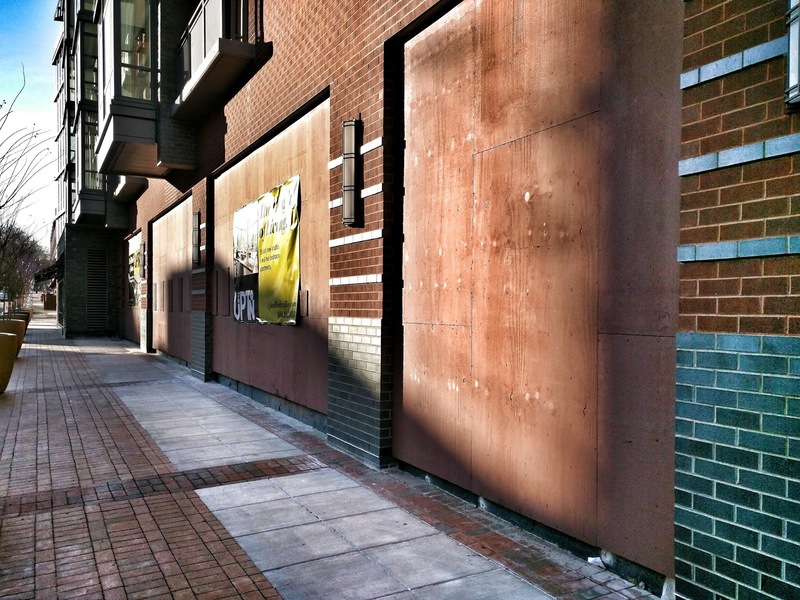 Such a concept caused a meltdown in Seattle last summer, when a Seattle Times columnist brought backroom zoning negotiations to public attention. There, a "citizen" committee was about to recommend doing away entirely with single-family zoning. “We can still be a city for everyone, but only if we give up our outdated ideal of every family living in their own home on a 5,000 square foot lot,” the Seattle committee's co-chairs wrote. The Seattle committee also detoured into the decidedly-out-of-left-field talking points we're hearing now from the Montgomery County Planning Board under its current membership and leadership - namely, blaming the concept of single-family housing for "racial and class exclusion." Okay. They might want to tour the diverse neighborhoods of Rockville sometime. The Seattle committee also endorsed the idea that existing residential neighborhoods should be transformed into multi-family zones "that would allow duplexes, triplexes, rooming houses and more backyard cottages and mother-in-law units in areas now dominated by single houses on lots with yards." Of course, such concepts were not coming from "citizens," but rather, developers and the politicians they fund behind the scenes. In fact, a former staff member of Montgomery County Councilmember George Leventhal advocated the radical idea of turning large homes in the County into group homes and boarding houses. Since such an outcome would likely require a Mao-like relocation of elites in Potomac and Burning Tree, one wonders how this would be possible. I'm assuming this wasn't an April Fool's post. But it gives you a sense of what these type of politicians have in mind for the quality of life and preservation of existing neighborhoods. Remember, in July 2013, Leventhal declared suburbs were "a mistake." I bring this idea of re-subdividing and re-zoning single-family home neighborhoods to your attention because not only is difficult for people to attend or watch every meeting, but also this idea is not prominent in the report. Residents should be aware that this is something being put on the table with many other ideas. 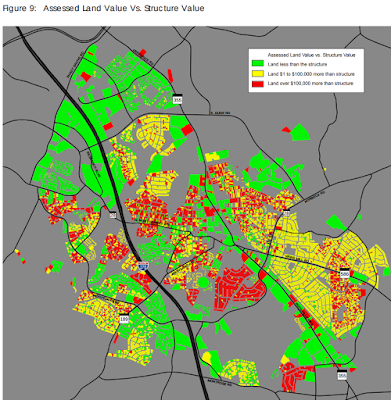 It should be noted that only 34% of land in Rockville is occupied by single-family homes, compared to Seattle's 65%. 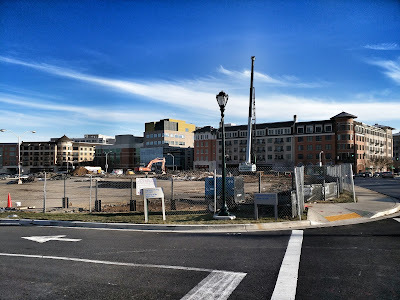 So Rockville is hardly in need of a suburban diet. 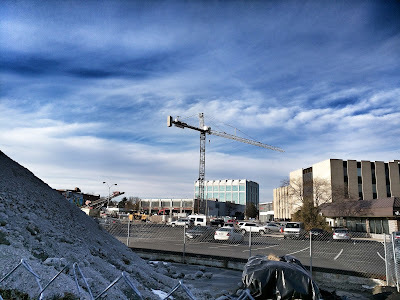 One factor cited by both the Rockville report and Seattle's effort is the false argument that massive numbers of new residents are on their way to town, and we are obligated to house them. And citizens must be willing to "change" or "modify" their behavior for this greater human good, such as "getting out of their cars." The "they're coming" argument, advanced by people like infamous former County Planning Director Rollin Stanley, just isn't true. People can come all they want, but they'll only stay if you provide housing for them. Don't build the new housing, and your population and cost of government services the new housing generates won't increase. Unfortunately, the report also cites Maryland documents that were essentially authored by developers who made big campaign contributions during the O'Malley administration (in fact, Martin O'Malley appointed an executive from a developer moving into Rockville in a big way - EYA - to his "Smart Growth" commission). 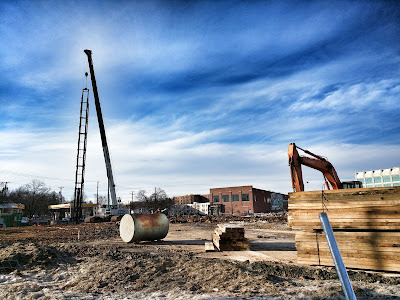 Whether on enviromental concerns, or land use, these reports mysteriously all find a single solution to all of our problems - urban-style development. I am shocked. Shocked. Put aside your knowledge of advances society either currently enjoys or is on the verge of - autonomous and zero-emission vehicles, Uber, alternative fuels, smart highways, active traffic management, high-mileage vehicles, etc. - and now prepare for a science lecture from politicians in Annapolis. "The only method to ensure a reduction in overall transportation emissions over time is to sharply reduce the rate of growth in [vehicle miles traveled], which will require a significant adjustment of land use patterns away from automobile-oriented development," one Maryland report states with authority. The problem is, that's simply not true. Reducing VMT is not the only way to reduce emissions, as any Tesla or Prius driver can tell you. The high-density housing they recommend actually will increase emissions, as they bring large numbers of additional vehicles with them. In order to make solid land use decisions, the data and information cited should be accurate; this environmental statement is not. Another questionable citation in the report, is that of the highly-biased office space assessment that Montgomery County politicians hired a consultant team to generate. Much like those state reports, the office report starts with a conclusion that we need to turn office space into housing, and builds an analysis backwards around it. 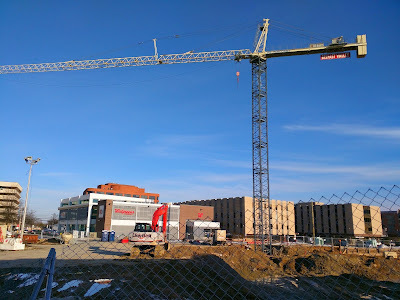 Some of the data was just plain wrong, and it completely left out the fact that Montgomery County's current policies are so anti-business that we haven't attracted a single major corporate headquarters in over a decade. So how do you decide the fate of your job centers without studying the policy side of the equation? Guess what: ceding more jobs to Virginia and D.C. increases auto emissions. 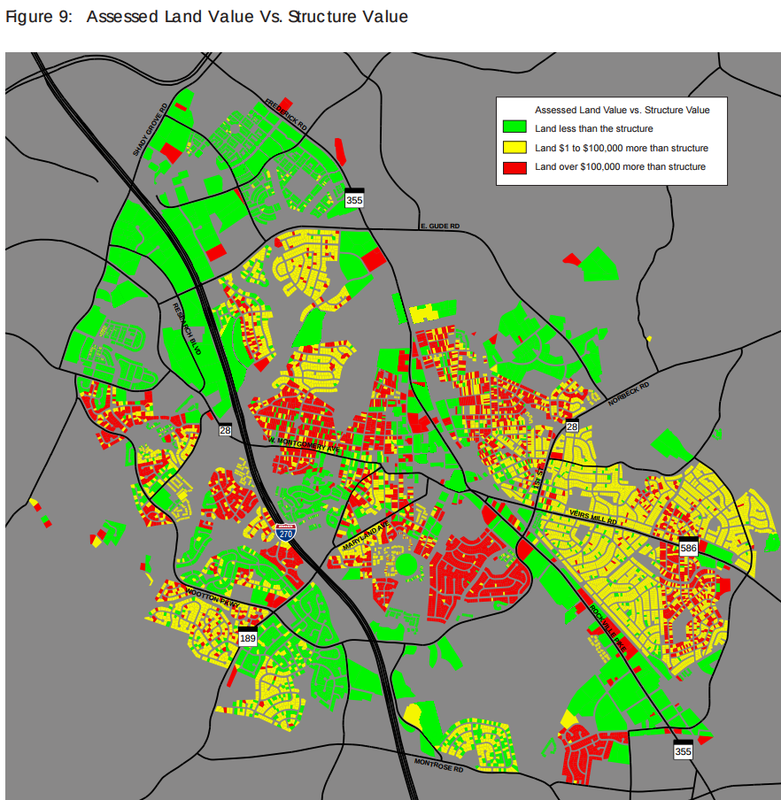 On the positive side, among the many interesting graphics in the Rockville land use report is one showing the relation of land value to the value of the structure(s) it is currently improved with. There's a lot of yellow and red on this map, indicating quite a bit of land that's either just slightly less valuable than the home on it, or far more valuable than the house on it. 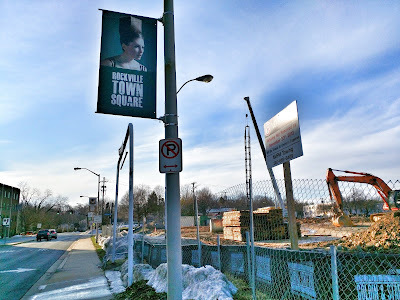 That fact underlines the importance of any transformational zoning discussions to be held during this process, and all the more reason for residents to get involved in the process either at the Planning Commission hearings, or through the ongoing Rockville 2040 events being sponsored by the City planning department. Duck Donuts will open a store at Sunshine Square at 1327 Rockville Pike. The company got its start in North Carolina a decade ago, and is dedicated to the pursuit of freshly made donuts and coffee. 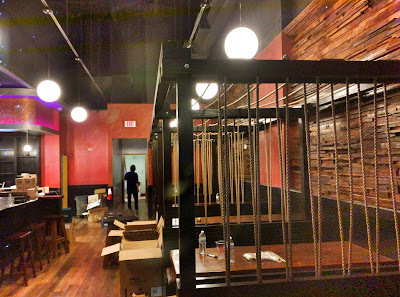 This will be its first Maryland location. 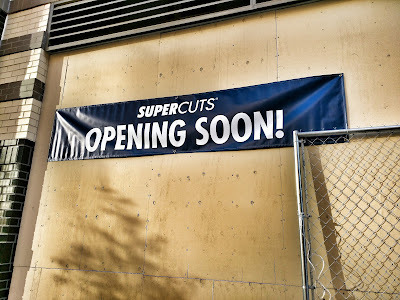 As you can see, their sign is already installed. 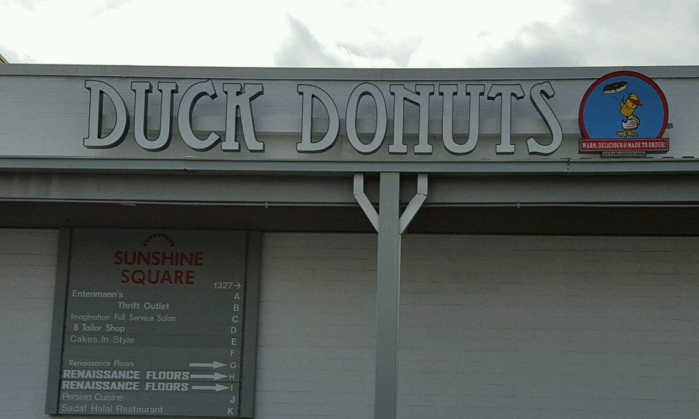 They are currently hiring a manager, cashier, donut maker, and - perhaps the best job of all - donut topper. 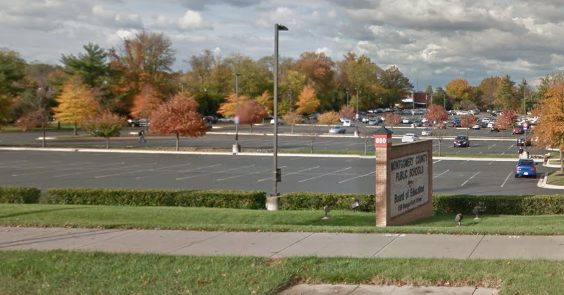 Outraged residents spoke out last night about a Montgomery County Government blunder that has resulted in a school bus parking lot being proposed at the Carver Educational Services Center in Rockville. Even more troubling - some residents, as well as City Councilman Mark Pierzchala, see evidence the lot may not just be a short-term plan. A resident of College Square called the bus plan "malpractice" at Monday's Mayor and Council meeting. He said the smart growth plan "went off the rails" after the County failed to enforce the agreement that the developer purchasing the current Crabbs Branch Way bus depot would have to find a new bus parking site. 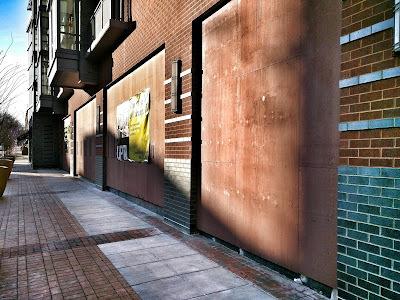 The private developer plans to build housing on the depot site. Another resident who lives near the Carver Center said she is concerned for the health and safety of her two young children. But in addition to her fears about noise, pollution and neighborhood traffic congestion, she suspects a potentially more-sinister County plot. Montgomery County Public Schools currently plans to merge the adjacent Rock Terrace School with Tilden in Bethesda. That move, she said, "would create a very large area for bus parking." Several other speakers concurred, and the potential for maintenance and fuel facilities on such a larger site were predicted. Pierzchala shares those concerns. He noted that MCPS is bonding over a million dollars for the bus site plan at Carver. "You don't bond something if you're just going to use it for a few years," Pierzchala noted. Other concerns expressed by residents include the plan for an ugly high fence at the historic school site, and questions over not only how buses would get in and out of the site, but the traffic generated by their drivers taking their personal vehicles to and from work twice a day. Many mentioned the dirty tactics by the County Council in giving virtually no advance notice, and holding the only public hearing on the matter during workday hours when residents would be unable to attend to testify. Mayor Bridget Donnell Newton sought to not only assure residents that she would "do everything in my power" to stop the plan, but also to dispel "an unfortunate statement" by an unnamed County Councilmember that Newton supports the plan. County Councilmember Craig Rice (D-Upcounty) was quoted in The Sentinel as saying, "“The mayor was supportive of the plan." "I just want to set the record straight," Newton said in making clear her opposition to the current proposal. Miso Fusion Cafe is hiring at Rockville Town Square, as construction continues on the interior. 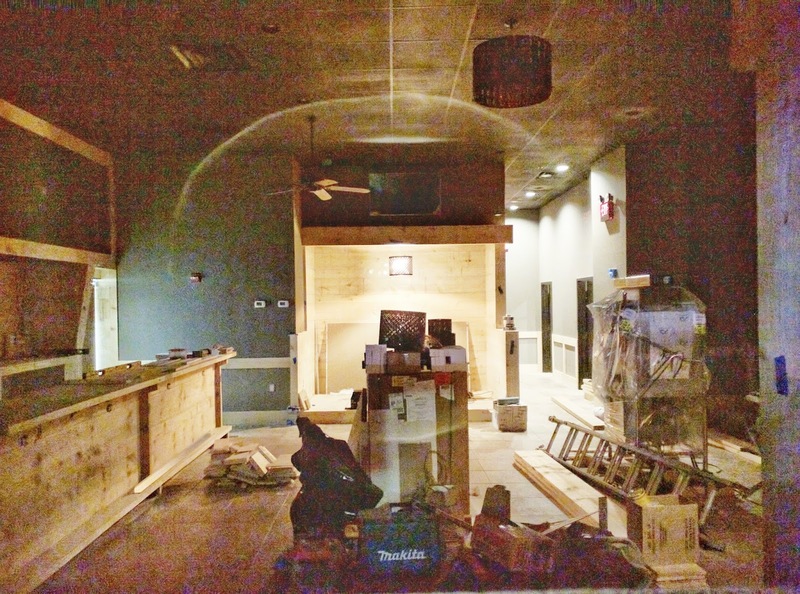 There's no opening date yet for the restaurant, which was originally scheduled to open last summer. 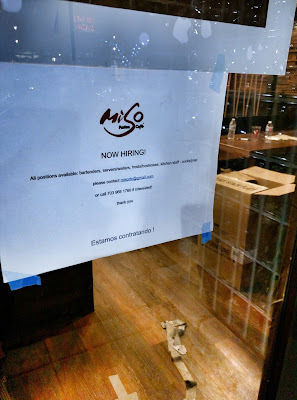 If you're interested in working at Miso, scroll down to the employment ad below and click the photo to enlarge for the details on how to apply. 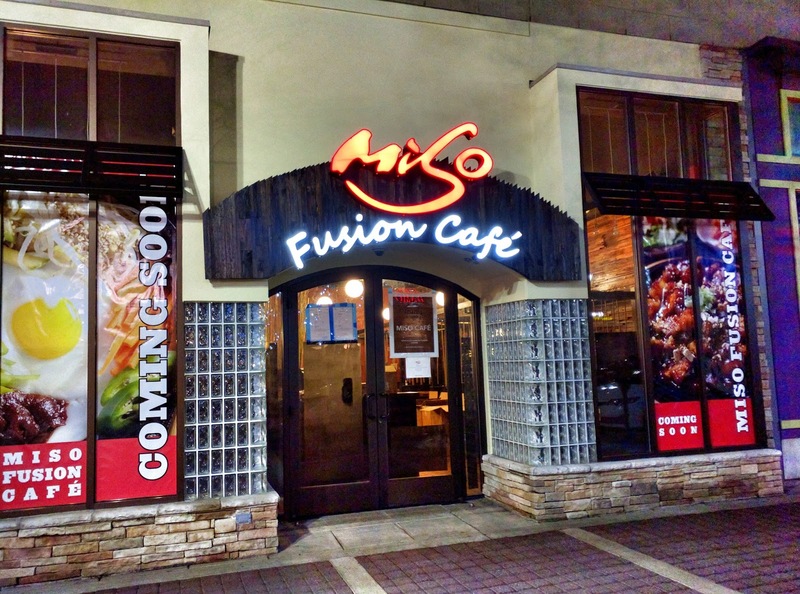 Miso will serve Korean fusion cuisine. H&R Retail has completed two leasing transactions at Wintergreen Plaza on Rockville Pike. 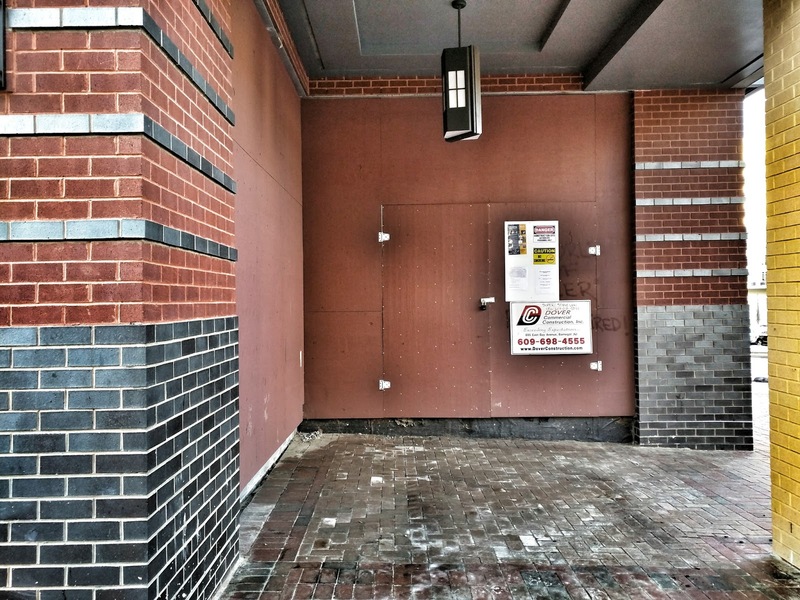 Coming this year to the shopping center will be Habit Burger Grill and Jersey Mike's. The two new dining options will bookend the newly-converted Ted's 355 Grill structure facing the Pike, according to the property map. Neither H&R Retail nor Habit Burger would respond to inquiries. How rude. It's called media relations, guys. Oh, well. Repair and renovation of the dairy barn complex at the former King Farm is on the agenda of the Rockville Historic District Commission tonight at City Hall at 7:30 PM. City staff is recommending approval of a plan that would replace the steel roof with a new terne steel roof that meets the Secretary of the Interior standards, repair the existing wood siding and doors. Only one door requires a full replacement. The Thompson's Dairy lettering, as pictured above, will be reproduced on the new roof. There is one condition for approval of the plan, which is that the original wood siding be reinstalled on the barn after the interior work is completed. A potentially more controversial agenda item is a proposal to construct a six-car garage and circular driveway at the Luckett House at 107 W. Jefferson Street. The property is located in the West Montgomery Avenue Historic District. This is a Courtesy Review by the HDC, and staff is seeking commissioners' advice for the applicant as to how these non-traditional elements can be incorporated into the existing property. 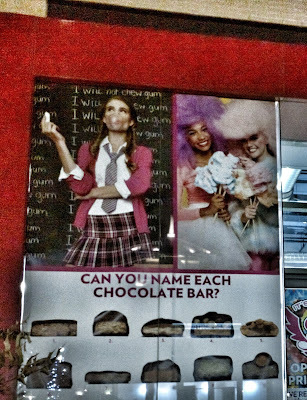 It'sugar will be home of the 1 lb. candy bars. 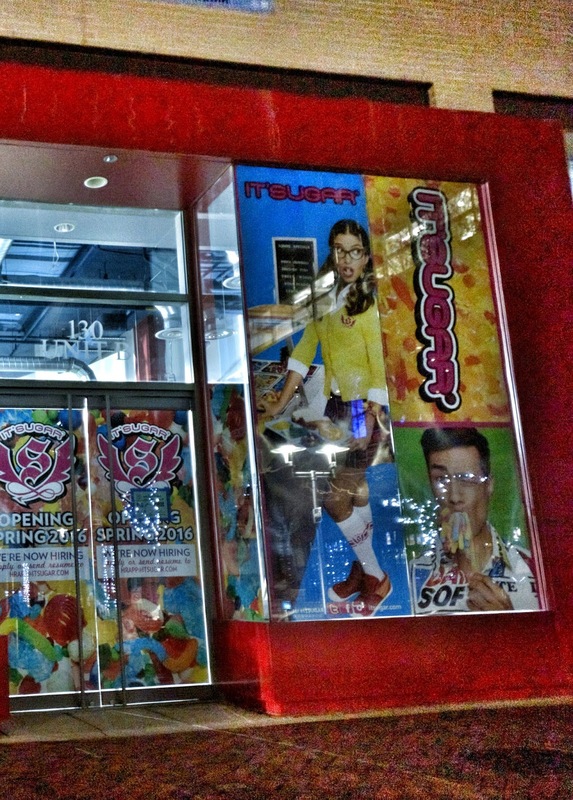 Fittingly, the future candy boutique at Rockville Town Square has more entertaining "Coming Soon" window screens than those who just put a blank wood wall out front. You could spend a lot of quality time identifying all the candy bars on the part of the window that challenges you to do just that. A defiant schoolgirl engages in the same behavior that apparently earned her detention in the first place. What's going on in the other scenes, I'm not even sure. 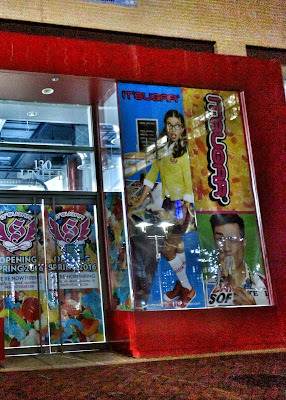 What is sure, is that the store is expected to open this spring. 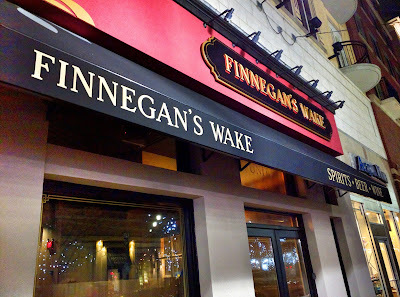 A source has told me Finnegan's Wake could open in less than two weeks, but there is no official confirmation of that yet. The signage and awning are up. 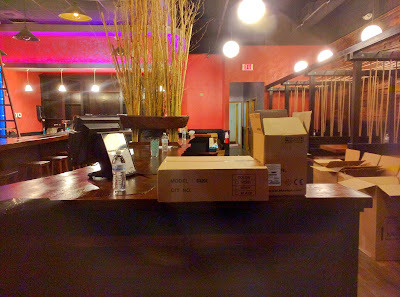 There currently is no contact information, website or Facebook page for the Irish pub. Just the potential that this may actually open in time for St. Patrick's Day. Keep your fingers crossed. 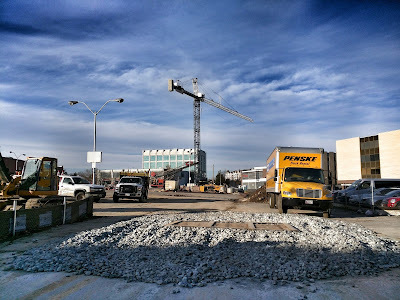 Many Rockville residents are wondering why they weren't informed by Montgomery County or the City of Rockville that Montgomery County Public Schools planned to turn the front parking lot at the Carver Educational Services Center into a makeshift bus depot. Now it's happened, as the Montgomery County Council yesterday provided MCPS with the funds to do so - $1,725,000, to be exact. 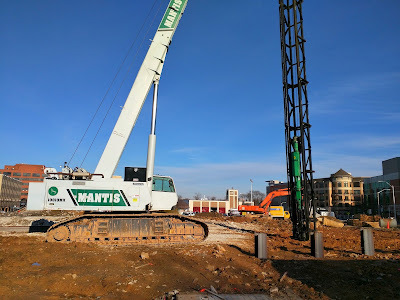 Expect 100 school buses to eventually appear on the lot at Mannakee Street and Hungerford Drive, as a result of the County's so-called "Smart Growth Initiative" - also known as "public officials making sweetheart real estate deals with County assets for private developer profit." The result of the Shady Grove bus depot site being sold for private real estate development is that all those buses have to go somewhere. 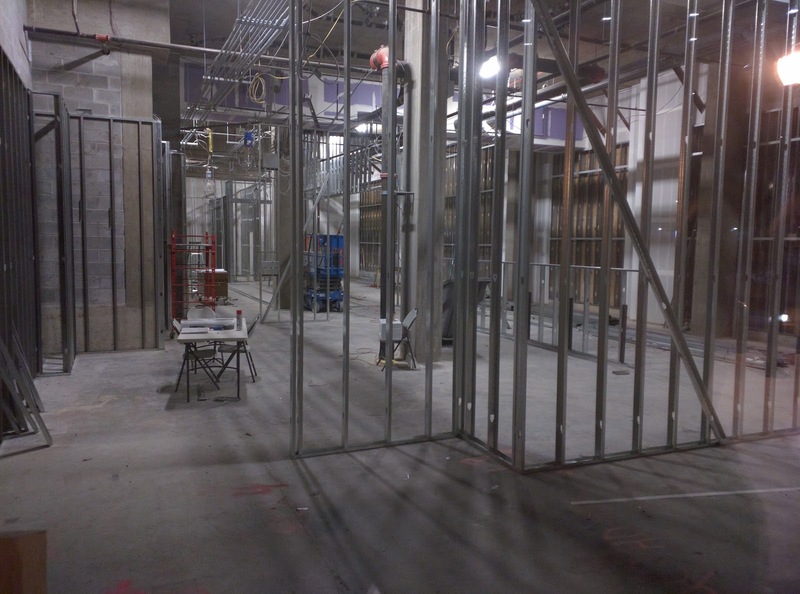 Others will be stored nearby at 1700 Crabbs Branch Way. MCPS will have to submit its plans to the City for review and to receive the necessary permits. The West End Citizens Association did not receive notice from either governmental party, and residents there - and in Woodley Gardens and College Gardens - are wondering if these buses will have to traverse parts of their neighborhood. This particular location does not have curb cuts that exit directly onto a major road, meaning residential streets will have to deal with bus traffic. Another concern is that buses will park and idle in neighborhoods. 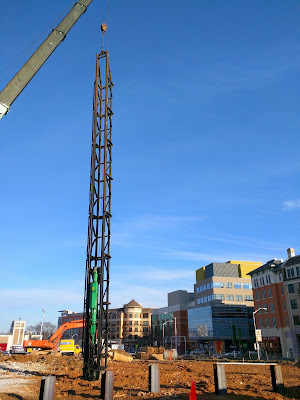 One would assume that, unless all 100 buses take Mannakee to MD 355, they will of necessity have to use Nelson Street to access I-270, to reach their destinations elsewhere in the County. Rockville Planning Commissioners tackled a few unresolved matters in the Rockville Pike Neighborhood Plan last night, and hope to transmit it to the Mayor and Council once final edits can be completed and a vote be held. While the commission's transmittal letter was the subject of some discussion, commissioners have suggested presenting the letter in-person to the Mayor and Council so that it does not end up getting lost (figuratively, more than literally) in the all of the paperwork. The first question to settle was whether to keep building height descriptions in stories, feet, or a hybrid of both. Stories was the choice after a 4-2-1 straw vote, with commissioners Jack Leiderman, and Don Hadley dissenting, and Chair Charles Littlefield abstaining. A second question was how to describe the City's goal for its jobs-to-housing ratio in the plan. Littlefield's proposed statement was considered too competition-oriented toward other job centers in the region by commissioners Anne Goodman and Gail Sherman. One point of reference was Rosslyn, which had nearly five times the number of jobs per housing unit as Rockville does. Long Range Planning Chief David Levy cautioned commissioners to be careful in emphasizing a higher ratio than the City has today. Places like Rosslyn have buildings far taller than the commissioners have said they are comfortable with for Rockville, he noted. Ultimately, the commission decided the final language should seek to maintain the current mix, to ensure the City doesn't become a bedroom community. 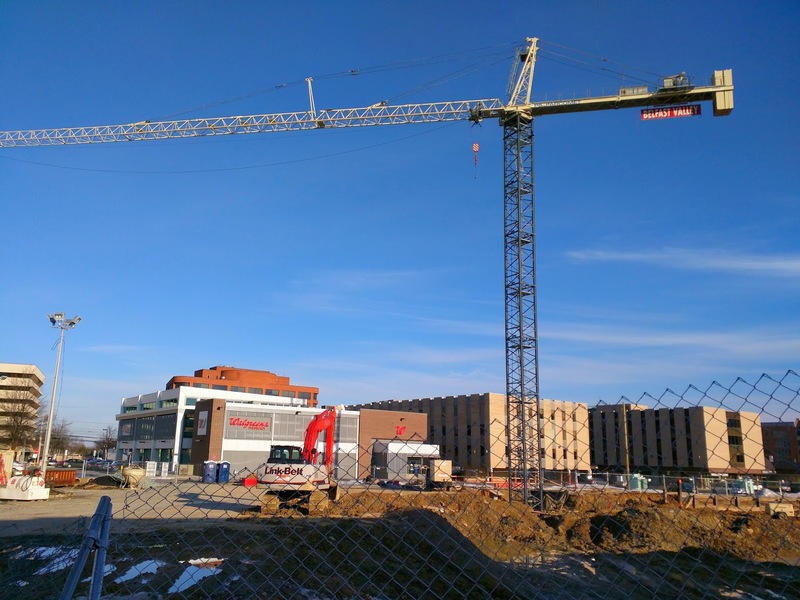 Building heights have remained controversial throughout the Pike Plan process. But Leiderman was surprised to find that one issue the Commission resolved did not appear in the plan. At an earlier worksession, commissioners had agreed to limit residential heights to 7 stories, and commercial heights at 10 stories. But only the 10-story limit appeared in the plan's text. Leiderman made a motion to restore the distinction, which passed 5-2, with commissioners John Tyner and David Hill dissenting. Vision Zero, a global movement to eliminate traffic-related deaths by 2024, won't be in the plan, however. Commissioners voted 6-1 to omit the specific phrase "Vision Zero" from the plan. Littlefield cast the sole vote in favor of including it. No one stated a specific objection to the Vision Zero concept prior to the vote, but indicated they did not want to use the terminology. Levy said that, while he might be speaking out of turn, he was sure the Mayor and Council would want to hear directly from Littlefield in person, when the commission officially signs off on the final plan. Leiderman asked if the Mayor and Council would have to hold the one required public hearing after making substantial changes to the Plan, rather than before they deliberate. Staff said the law allows them to hold the public hearing at whatever point in the 150 day approval process they wish. That would mean the public might not have a say on any such changes, should they hold the hearing first. The City of Rockville has declined to accept the controversial Confederate statue Montgomery County wants to relocate from the historic Red Brick Courthouse to the Beall-Dawson House. Mayor Bridget Donnell Newton and the City Council voted 4-1 to reject the statue, with Councilmember Beryl Feinberg the lone dissenter. The decision primarily turned on the County's refusal to pay the full costs that would be involved in securing and protecting the statue. "I don't want to see it warehoused forever," Newton said, "but I also don't think it's the city's responsibility to take it. I'm firmly in the camp of not accepting it." "Rockville is being put on the spot. It would utterly dominate that site," Councilmember Mark Pierzchala said in starting the discussion Monday night. "It would be very difficult to place in historical context. I am leaning at this point against agreeing to accept it." Feinberg, who is a County employee, said she did not believe she would be biased in making her decision, and that she had not been pressured by the County to vote in any particular way. After consulting with the City Attorney, Feinberg said she had concluded that she would not have to recuse herself in this case. It will be a major embarrassment for the County if it is forced to mothball the statue in a warehouse someplace. But the Beall-Dawson House was never an ideal location, anyway. The statue was sure to be vandalized repeatedly, now that it has been made into a target. 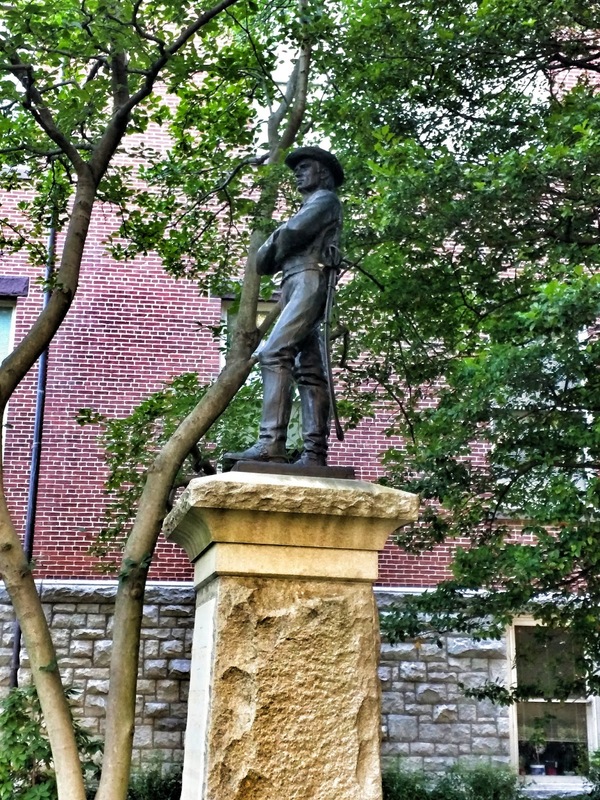 And, as offensive as the statue is to many, it was also offensive to descendants of Confederate veterans to position the statue in a direction other than facing south, as had been proposed for the Beall-Dawson site. This statue should be placed where its significance and meaning are appreciated, such as in a Confederate cemetery. It's hard to believe there isn't one somewhere that would be glad to accept it. 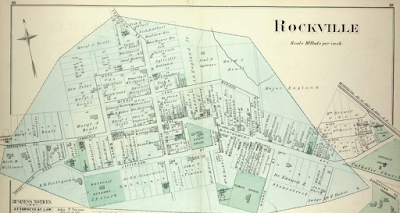 Ultimately, it's sad that future generations in Rockville will grow up with no idea of their City's full role in the Civil War, in both its positive and negative aspects. 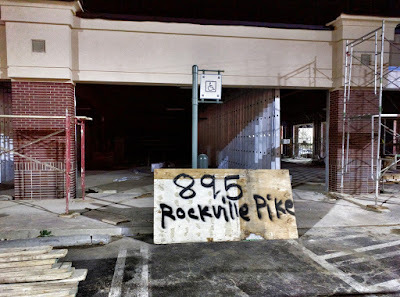 Rockville's Mayor and Council voted unanimously to ask the state of Maryland to study the potential of burying Rockville Pike (MD 355), where it passes by downtown Rockville and the Rockville Metro station, during a worksesson on the topic last night. It would be the most expensive of 3 options designed to improve traffic flow, accommodate the proposed 355 and Veirs Mill Road Bus Rapid Transit systems, and create new economic development opportunities for the City. The concept was first proposed during the 1990s, and Mayor Bridget Donnell Newton has been a strong proponent of the idea since. A preliminary proposal by a trio of consulting firms hired by the City would have 355 running as a four-lane highway underground from Dodge Street to a point north of Beall Avenue. On the new "surface" level created above that would be four lanes of local traffic, and two dedicated BRT lanes. The consultants were recommending 10' lane widths to discourage higher vehicle speeds. Newton said she was skeptical that would work, particularly with the popularity of wide, large SUVs and the heavy truck traffic on the Pike. 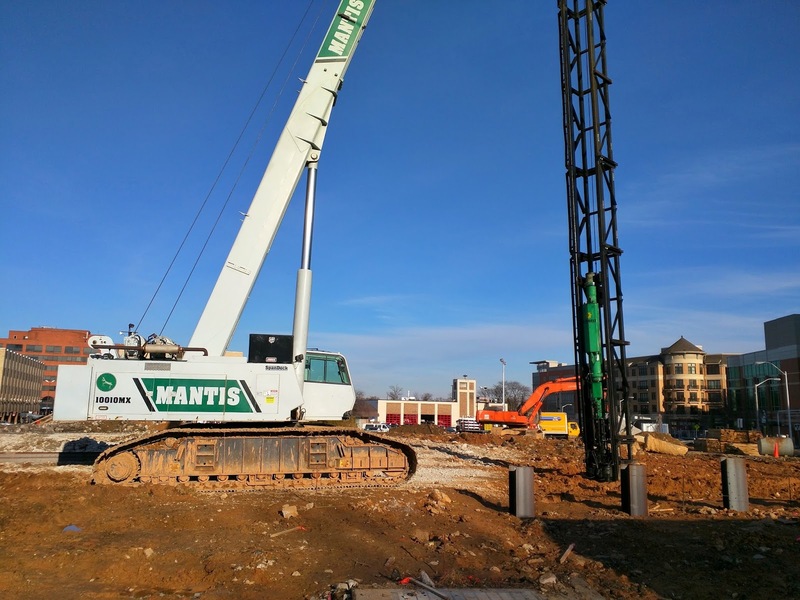 Consultants said the underground option could be sold to the state as a way to make up for past design mistakes by Maryland in Rockville, and solve issues like the mixing bowl at 355 and Veirs Milll, while allowing Veterans Park to grow in size. Utility relocations above and below ground would be a major cost factor in the tunnel option. The underground 355 would also mean acquiring 12,500 SF of right-of-way from 15 landowners along the route, which isn't that much in the grand scheme of land deals. The total estimated cost of the tunnel facility would be $214 million, the study predicts. Development opportunities created by the plan would include redevelopment of 255 Rockville Pike, and two sites alongside the Rockville Metro station that currently serve as bus bays. However, there would be potential for even more air rights development than the plan shows. 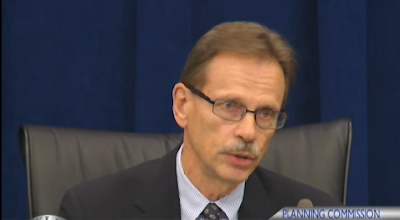 Newton asked if the tunnel could be shortened to reduce the cost. The consultants said a 1.3 mile tunnel would be the "sweet spot" for the project. The Mayor also pressed for one of her priorities in the concept, the creation of a large village green that could serve as not only public space, but also to host events such as the large scale Hometown Holidays concerts currently not possible since the E. Middle Lane parking lot was redeveloped. While the consultants recommended against getting too detailed at this early stage, it would seem that an at-grade road/BRT alignment over the tunnel that wasn't so wedded to the current route of the Pike could be adjusted toward the tracks, for example. That would open up more space for development and a villlage green that wouldn't be possible if it had to be split down the center by a road. Air rights over much of the tunnel could bring significant private investment into the project. 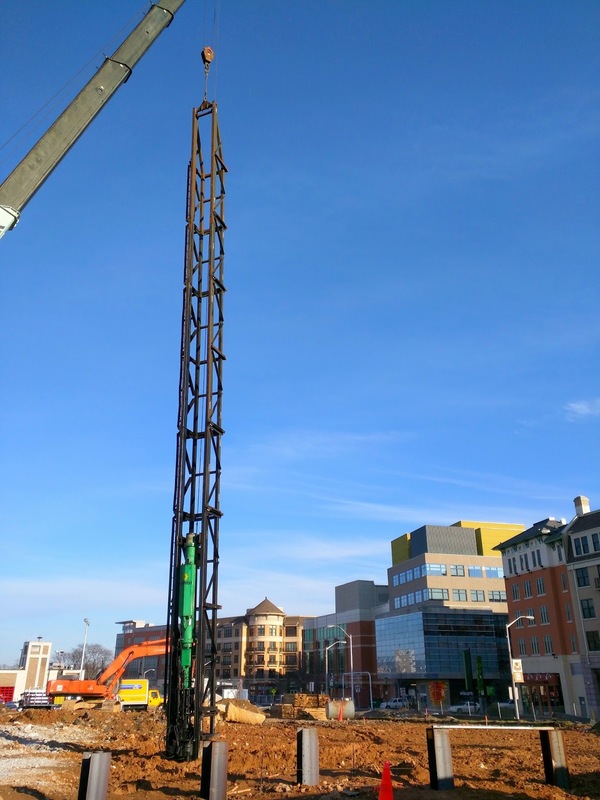 Councilmember Mark Pierzchala and Planning Commissioner Don Hadley both agreed that buildings of perhaps 12 stories would be needed to make the project viable. Hadley noted that the cost should be put into the long-term context of the benefits of burying the Pike. He compared it to the cost of tuition to a fine university that would pay off later in life. I think that's clearly the case. Separating through traffic and local traffic would not only restore the 33% capacity that BRT will steal in any Pike segment where it gets dedicated lanes taken from cars, but could also create more of a human environment above ground, and be a significant advancement toward the Vision Zero concept in the town center area. The concept aims to eliminate all deaths from traffic accidents by 2024. 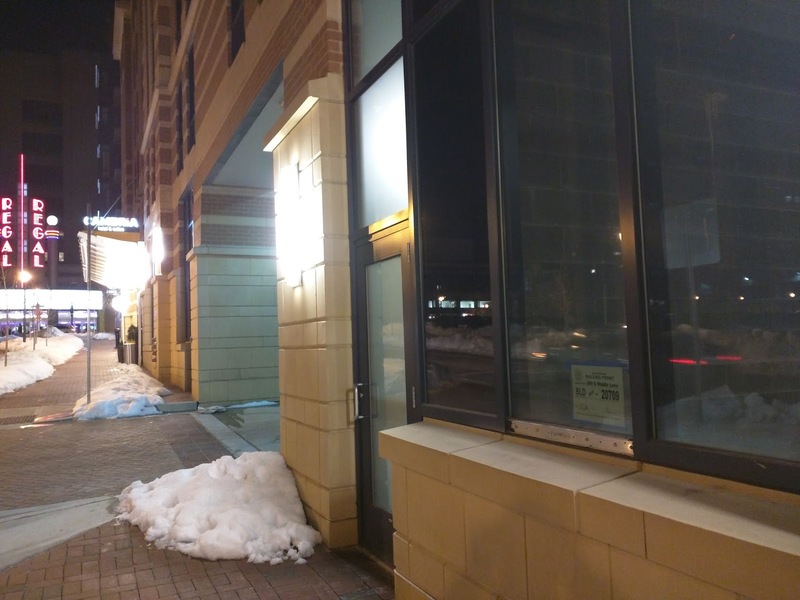 In other news last night, a majority of councilmembers from the Team Rockville slate declined to support the reappointment of Hadley to another term on the Planning Commission. Councilmember Virginia Onley said she would like more diversity, and to limit the number of terms served by volunteers. Onley has voted to reappoint others to successive terms on commissions, however. Hadley is a highly-respected land use attorney who has won praise from residents for his deliberative and thoughtful approach. But don't expect to see Hadley disappear into the good night just yet - unless he wishes to do so. 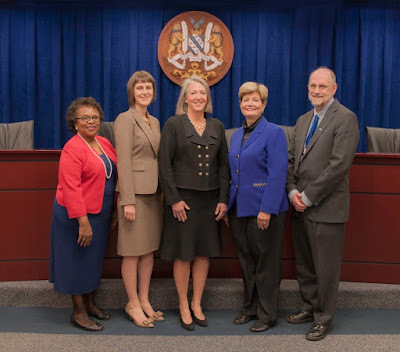 One of the powers a Rockville mayor has is the ability to simply not make a new appointment, when he or she faces opposition to a candidate from a majority on the Council. Newton and her predecessor, former Mayor Phyllis Marcuccio, made wise use of this authority, and ended up ultimately winning majority support for replacement commissioners who represented their priorities on land use decisions. 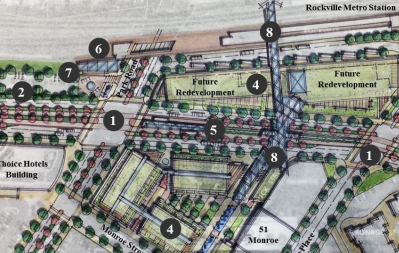 You'll find few citizens in Rockville who think the consultant's Euro-style Rockville Pike plan was better than the one the Planning Commission is wrapping up now. At the end of the meeting, the Mayor and Council also voted unanimously to support a state Senate bill (SB 271) sponsored by Sen. Nancy King, which would provide more school construction money to Montgomery County. Supercuts is coming to the Duball project in Rockville Town Center on E. Middle Lane. 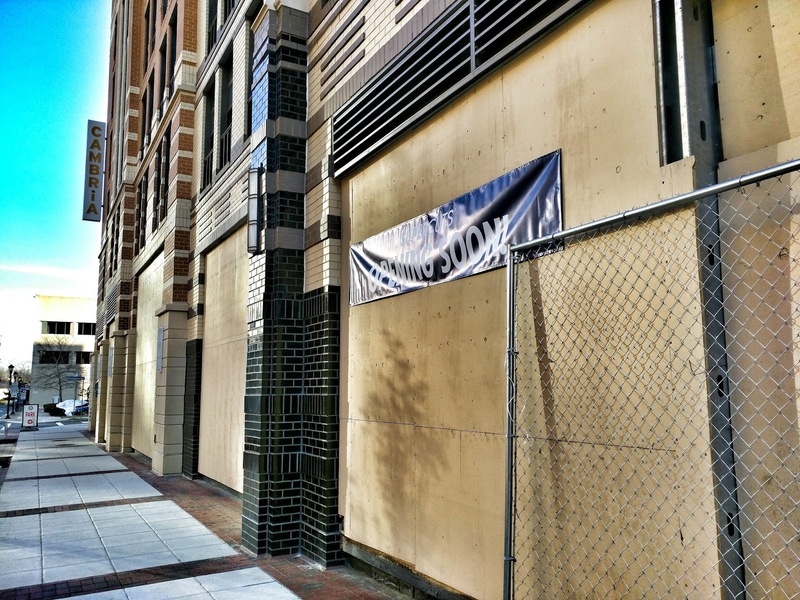 A banner has been installed on the building's facade outside of the Cambria Suites hotel. 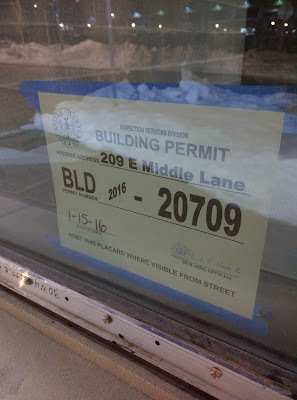 Meanwhile, building permits have been issued for the future Panera Bread in the same building.